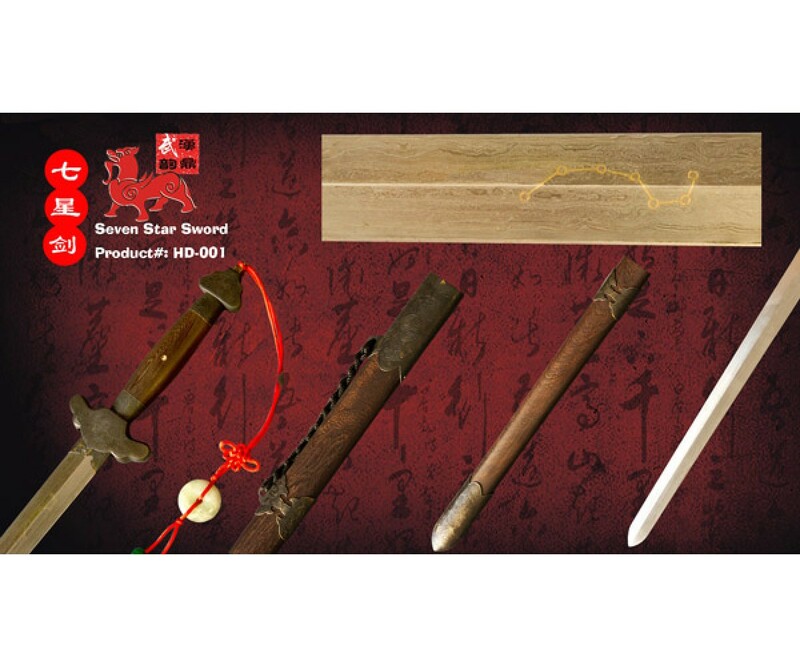 Exceptionally hand forged sabre, sharpen edges, crafted by top artisan of dragon well. Sharpen blade, brass engraved with 7 star symbol on the flat diamond blade, it is finished with antique brass and wood mounting. Welded damascus blade the consummate technique of traditional Chinese swordsmith. Jian of sanmei construction, which means the high-carbon edge, sandwiched between layers of mild steel. Some pictures below show the high-carbon steel shines alone the edges and goes around the tip, the evidence of sanmei construction. Forging and hardening, the very beauty of the sword, crystal clear after careful polishing. Body of the blade was skillfully forged enabling cloud damascus pattern. The watering pattern on the sides shows the laminate construction of high-carbon steel edge. 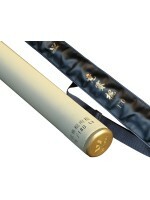 The blade is smooth and glossy as the peaceful surface of a calm lake with tiny movement of waves. It takes one month to polish and mount the jian. All polish is done by hand with absolute natural materials including more than 15 different grades of grindstone, paper, and powder. Production took 150+ hours from top artisans of dragon well evidence by manual hammering of the blade compared to machine finishing. Bare sword weights from 2 lbs 4 oz. to 2 lbs 7 oz. pending on blade size. Balance point is 3 inches from the hilt. 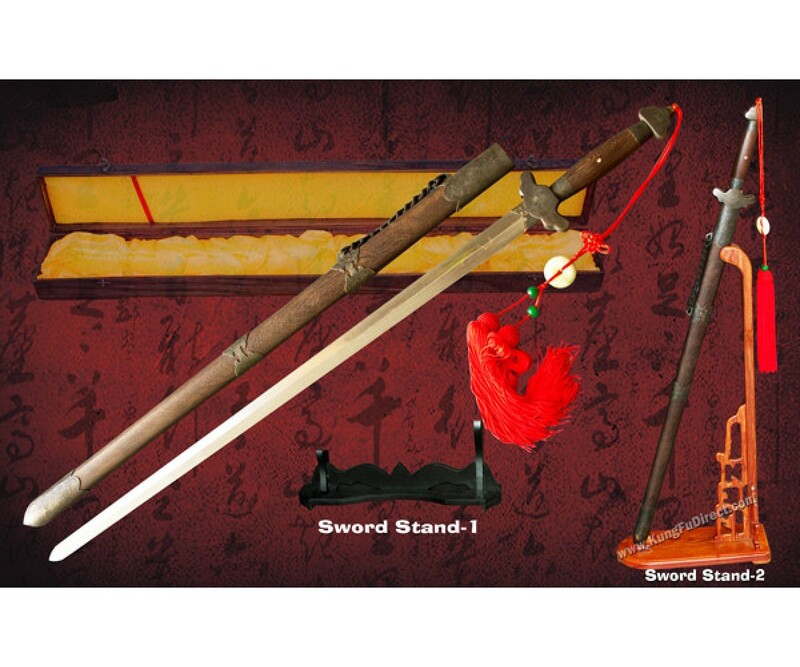 The texture, lengthy, aesthetic appeal, all comes together specially made for advanced tai chi practitioner and sword collectors.